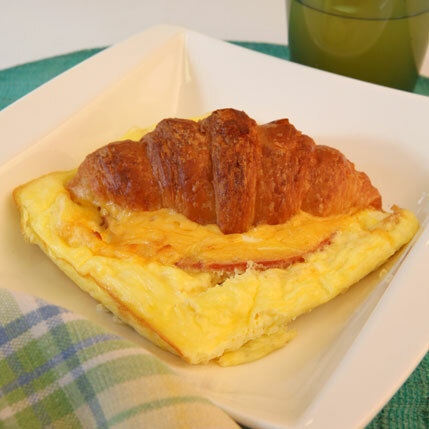 Place a slice of ham and a slice of cheese on each croissant and close. Beat the eggs and milk together. Flavour with salt and pepper. Place the croissants in a baking dish. The croissants should fit snugly. Pour the egg mixture over.